We already provided a certain number of adaptable B2B internet platforms: discover the several online sales tools we created! 1. Which companies have we provided with a customized remarketing platform? => Take a look at the platforms of our numerous trusted clients. 2. Why are cooperations and partnerships important to us? => Discover the potential possibilities with a full remarketing solution provided by Motrada. 3. Who are we working with? Do you want to learn more about all the possibilities of our platforms? We would be pleased to give you a presentation on our Demo-Platform in more detail during a scheduled onlinemeeting. reproduce your internal processes and corporate identity. with companies in other segments of the remarketing chain. First of all, we cooperate with experts who create certified descriptions and evaluations of your used objects. This description, reliable and accurate, can be automatically forwarded to your new Motrada platform via a data interface. This means that you will not have to capture every characteristic of the object manually, and therefore save lots of time. Furthermore, this reliable description will establish a higher level of trust between your buyers and yourself! We also cooperate with companies who store and transport the used objects you sold to the registered address of the buyer or to a meeting point. These professionals guarantee a safe transport of your objects thanks to their high competence in logistics. Are you interested in a cooperation with Motrada? 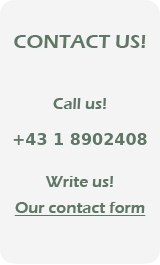 We look forward to hearing from you: simply use the contact form! Here are some of the various partners we are already working with.